Posted on January 17, 2012 by Michelle M.
for that second throat spot to finally come in. 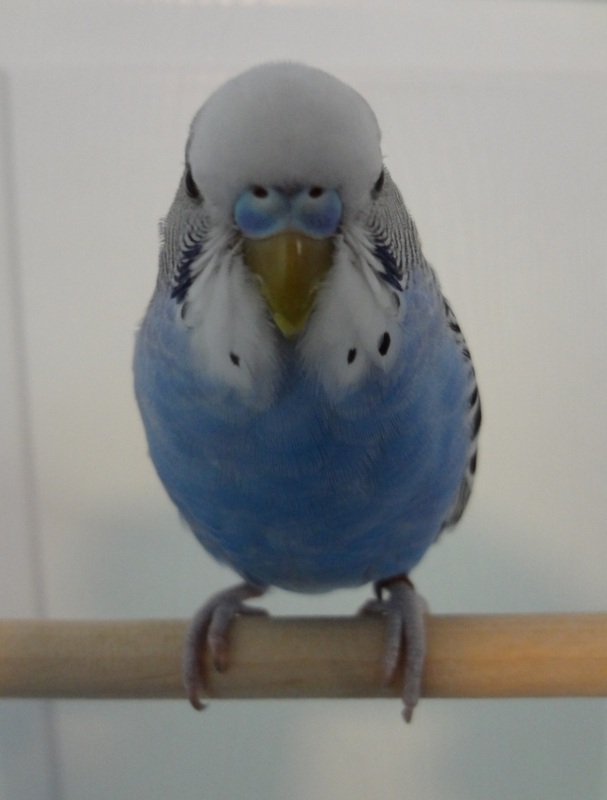 This entry was posted in Cooper and tagged budgie, Cooper, looking grumpy, parakeet, throat spot, waiting by Michelle M.. Bookmark the permalink. throat spot? what does that mean? Will Cooper start laying eggz? The dot on his throat feathers. He’s not symmetrical at the moment. And I don’t think he’ll be laying eggs any time soon. Or ever. Silly vuboq. Cooper finds his lack of symmetry disturbing. Cooper looks a little ominous from this angle. That’s what prompted my Star Wars allusion.